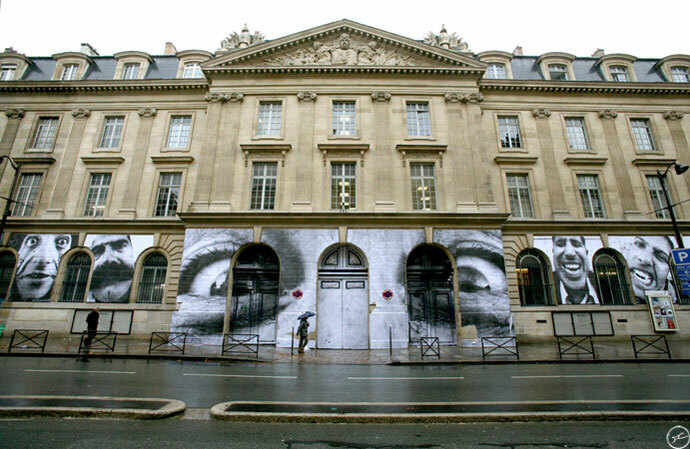 For French artist JR art should be brought to everyone. It should be shared and experienced as a collective practice. Indeed, art is a powerful medium through which you can make bold statements, expose people often ignored and change perceptions, attitudes and stereotypes about the world we live in! It is a harmless weapon, which possesses the strongest power from all weapons combined. 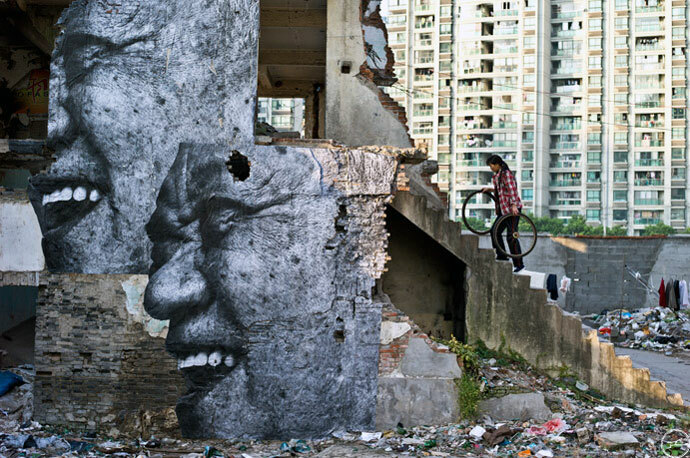 Ordinary people with ordinary faces will become the subject of Inside Out global art project, the largest attempted so far! The project is soon coming next to your wall, next to your house and in your neighborhood. 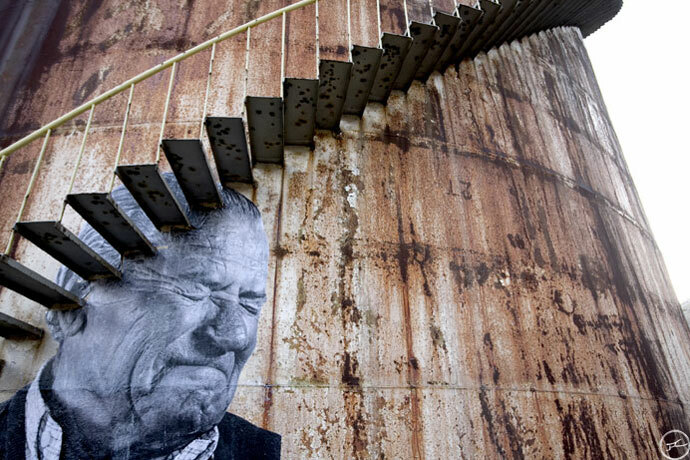 Your face or your friend’s face or even your grandmother’s face will become the subject of the Inside Out Project. People are invited to take a picture of people with a strong facial expression and upload them to the website. JR will then return the images to the up-loader after converting them into black and white giant posters which are supposed to be pasted somewhere for everyone to see. 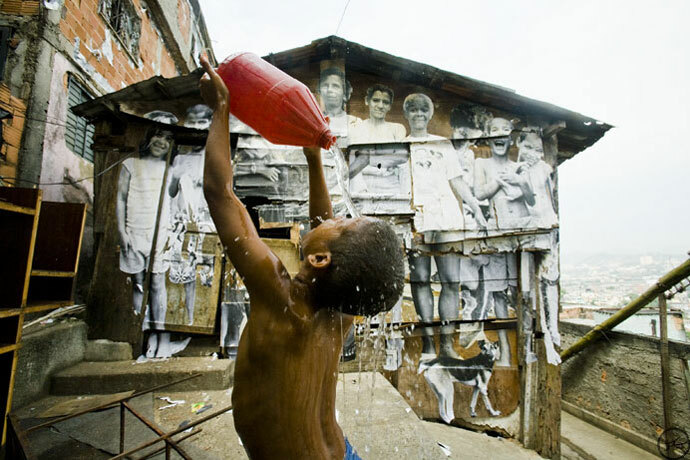 In the past, JR has attempted some exceptional projects, which gave him world recognition. 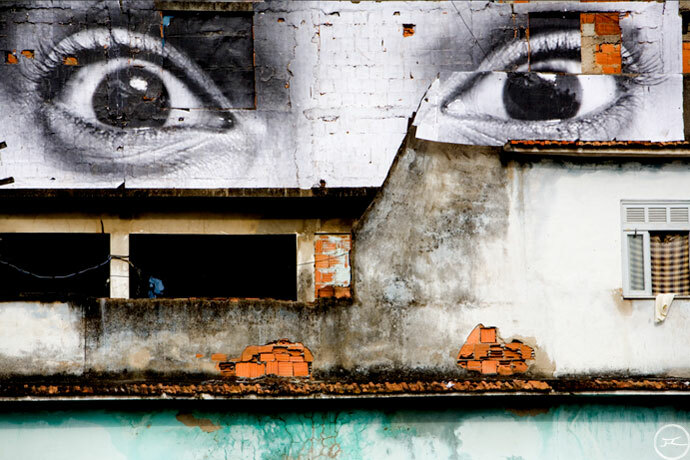 It’s not the first time he attempts to use the city as a canvas and make each image and the story behind it to travel around the world. He took pictures of teenagers form the notorious Paris banlieues, where the riots of 2005 broke out and posted them into posh/chic areas around the city. 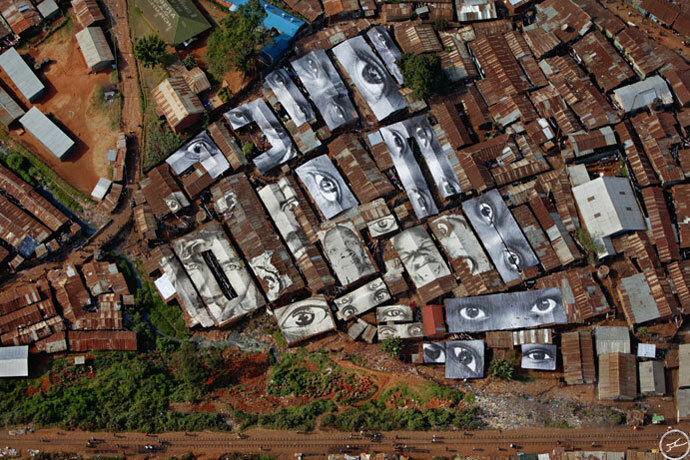 He travelled to Kenya slums and covered the roofs of people’s houses with gigantic photographs made out of vinyl of women who live in these places. 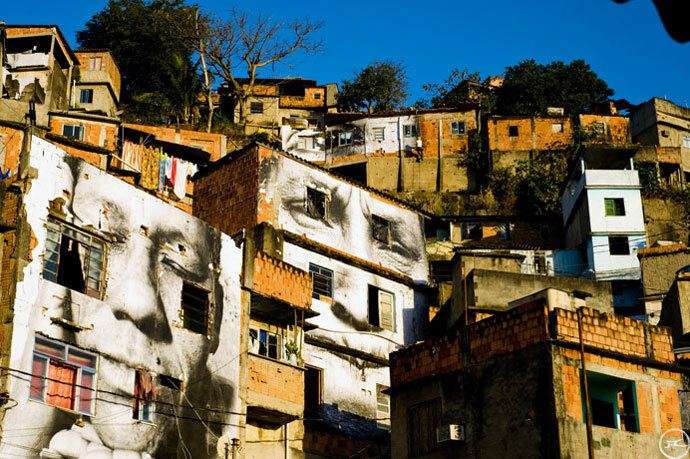 He went to a Brazil’s infamous favela where he pasted the walls with black and white eyes altering the image of the favela. He was also drawn to the Middle East conflict between the Israelis and the Palestinians. He started the famous Face2Face project for which he photographed Israelis and Palestinians who were doing the same job. 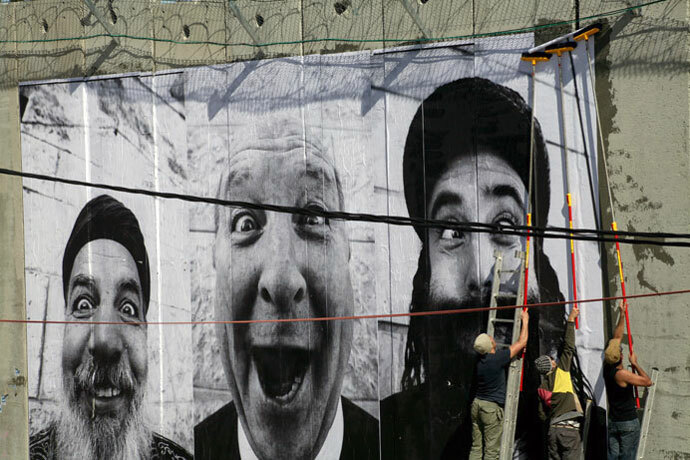 He posted their portraits on the separation wall along and within the West Bank, on both sides of the wall.